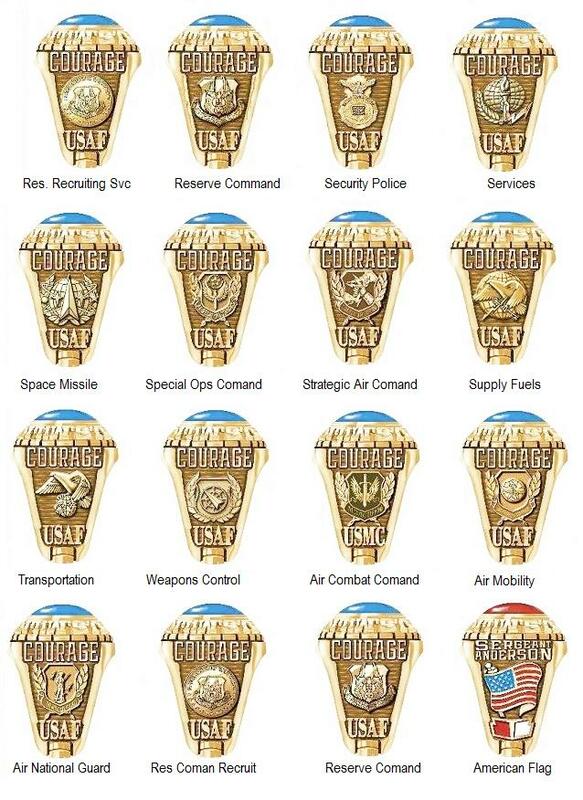 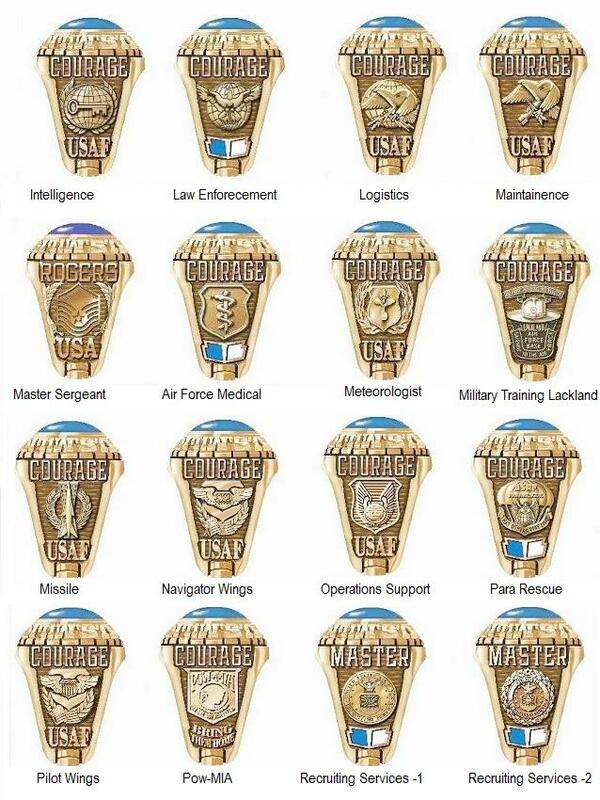 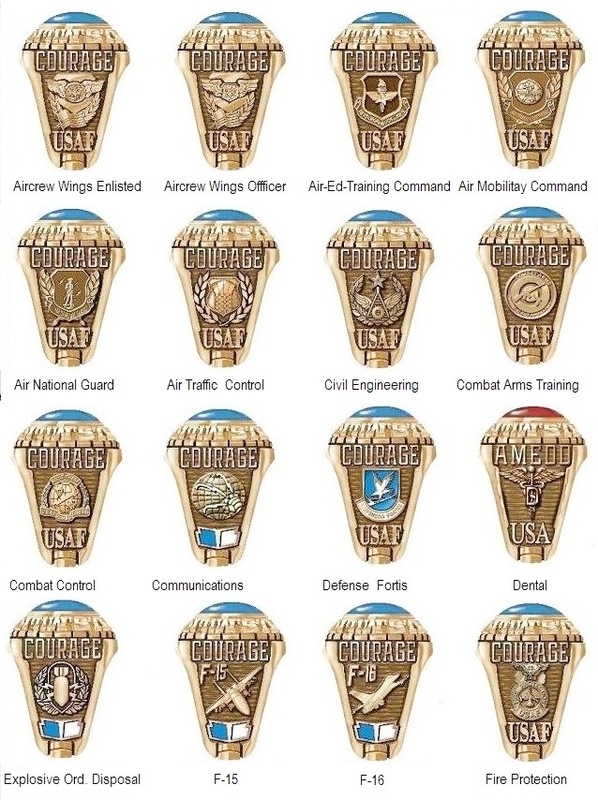 US Air Force Emblems for rings which can be custom made. 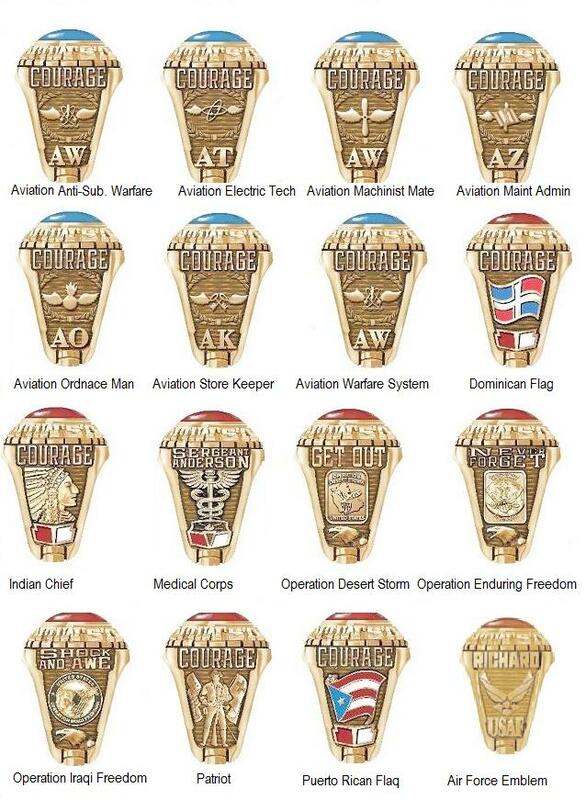 These emblems can be selected to create beautiful air force rings for airmen and jet pilots. 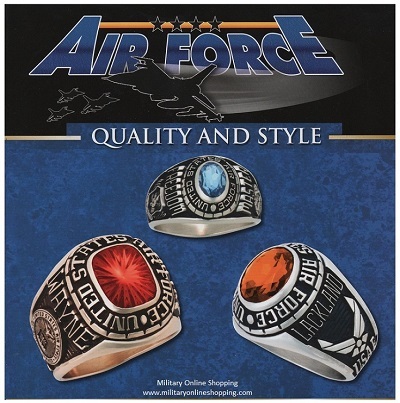 For many it’s a great gift to receive when on active duty or on retirement from the United States Air Force.